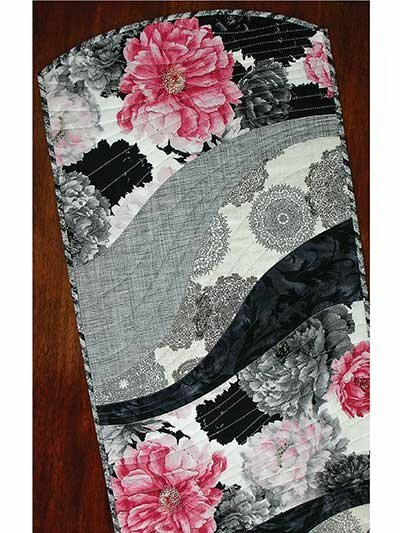 15x53in table runner- 14x18.5in place mats. Quick and easy table runner and place mats made from a theme fabric and 4 fat quarters . Great class project, easy enough for beginners. Super simple quilt-as-you-go curves.